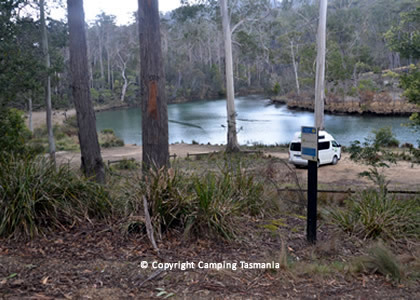 The free camping area Trout Creek in the Upper Scamander Reserve is a hidden gem! This beautiful spot takes a bit of getting to, but is worth the effort. It isn't suited to really big rigs, the road to Trout Creek Reserve is mostly gravel and is narrow, steep and very rough in sections. 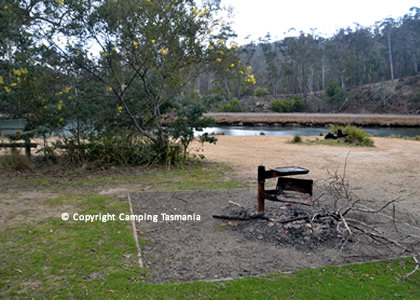 Once there, you can enjoy camping right next to the Scamander River, and quite literally fish from your campsite. 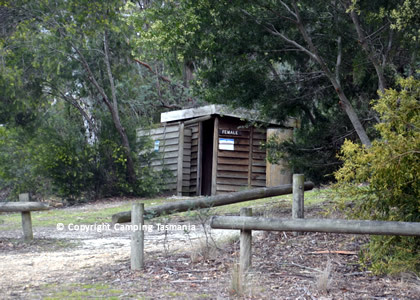 There are toilets at the Trout Creek Reserve, Upper Scamander and firepots. However, you do need to carry your own firewood, fresh water and all provisions. The river is suitable for kayaking and canoeing. 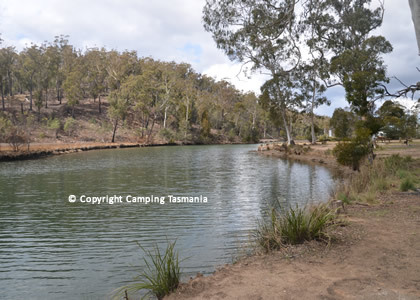 The campsite isn't massive, but there is a good amount of room and it is unlikely the campground Trout Creek Upper Scamander would ever be full other than over the Christmas New Year and Easter holiday periods. As well as camping next to the river, you can camp a little distance away on well grassed grounds, that offer increased shelter and are closer to the toilets. 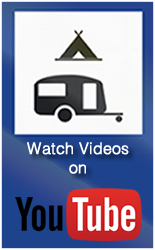 The campsite is popular during holiday periods over Christmas and on weekends during summer months. 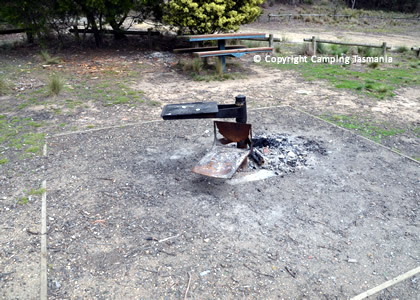 The Trout Creek Reserve campground, Upper Scamander is located 11 km West of Scamander (Signposted off the A4 South of Scamander near Beaumaris). The campsite is Pet Friendly, has pit toilets, good shade, and has firepots on site. 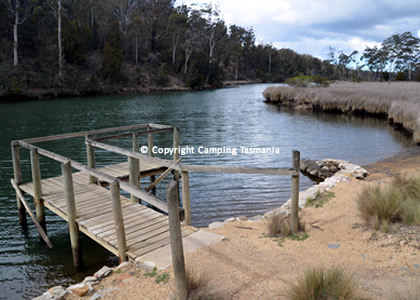 Access to Trout Creek campsite is via Upper Scamander Road, Eastern Creek Road and Trout Road. 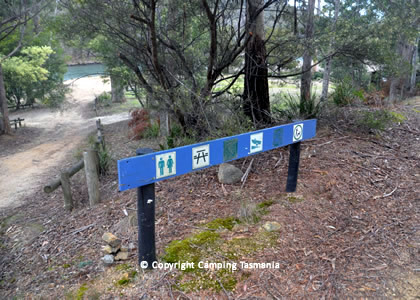 The Upper Scamander Reserve is a popular place for a range of recreational activities including bushwalking. The Scamander River is well known for producing good fishing where you may catch bream, trout and occasionally cocky, salmon, trevalla and mullet. The Scmander Reserve runs from the entrance to Hendersons Lagoon in the south to Dianas Beach in the north, and is an area of 473 ha, and covers a 12 kilometre stretch of Tasmania's stunning east coast. The reserve lies midway between St Helens and St Marys, and takes its name from the snmall coastal tourism town of Scamander.